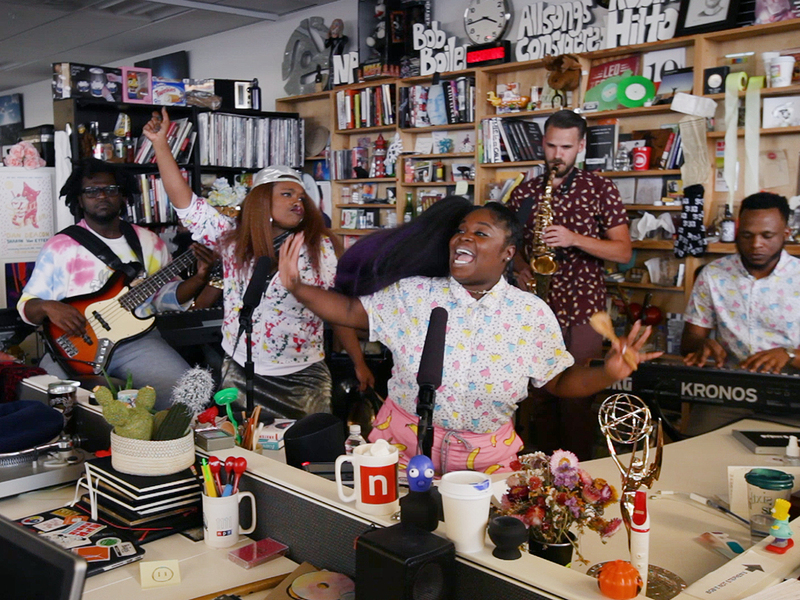 NPR Music's 2019 Tiny Desk Contest Open Today Unsigned bands and musicians can submit videos starting on today through Sunday, April 14 at 11:59 p.m. ET at NPR.org/tinydeskcontest. March 12, 2019; Austin, Texas - Today at SXSW NPR Music announced the return of its popular Tiny Desk Contest. Over the past four years the Contest has received more than 22,000 entries from artists and bands across all 50 states. Tiny Desk Contest winners have gone on to do great things: the inaugural winner Fantastic Negrito, won two Grammy awards; folk musician Gaelynn Lea has built an enthusiastic fan base in the United States and across Europe, released a new album and played at renowned venues like the Kennedy Center. The third year winner, Tank and the Bangas, has brought its unique energy to sold-out crowds around the world, even performing at last year's Coachella festival. Last year's winner, Naia Izumi, opened the national tour for The Lone Bellow, performed a TED Salon, and signed a contract with Sony Masterworks. Unsigned bands and musicians can submit videos starting on today through Sunday, April 14 at 11:59 p.m. ET at NPR.org/tinydeskcontest. This year for the first time, the Contest will be open to artists 18 years and older. Please see website for official rules. "Each year the Contest inspires musicians to get together with their friends and make something—it's wonderful to receive all these unique creations and witness how the community has grown," said Bob Boilen, creator of the Tiny Desk concert series and host of All Songs Considered. "Just like at the Tiny Desk concerts: all genres and instruments are welcome. I can't wait to see what musicians all over the country will send us this year!" Blue Microphones, makers of the Yeti USB microphone, is the exclusive sponsor of this year's NPR Music Tiny Desk Contest and tour. This year, NPR Music has again chosen popular Tiny Desk alumni to judge the Contest: Lucy Dacus, Ledisi and Jason Isbell will be reviewing submissions to find artists they love. The judging panel will also include two NPR Member stations: KCRW host Raul Campos and KEXP DJ Abbie Gobeli, as well as NPR Music's hip-hop critic Rodney Carmichael and Bob Boilen, host and creator of All Songs Considered. Though there is only one grand prize winner each year, submitting artists benefit from joining the Tiny Desk Contest community — whether they're featured on NPR Music's All Songs Considered blog, in a Tiny Desk supercut video, at a Tiny Desk Contest On The Road tour live event stop, or even in a Tiny Desk concert down the line. Musicians interested in entering NPR Music's 2019 Tiny Desk Contest must play one original song at a desk (any desk — get creative), upload a video of the performance to YouTube and submit with the entry form at NPR.org/tinydeskcontest. NPR Music welcomes music from all genres, and entrants from previous years are encouraged to submit again with new material. Artists must be at least 18 years old and live in the 50 United States, the U.S. Virgin Islands or the District of Columbia to enter. 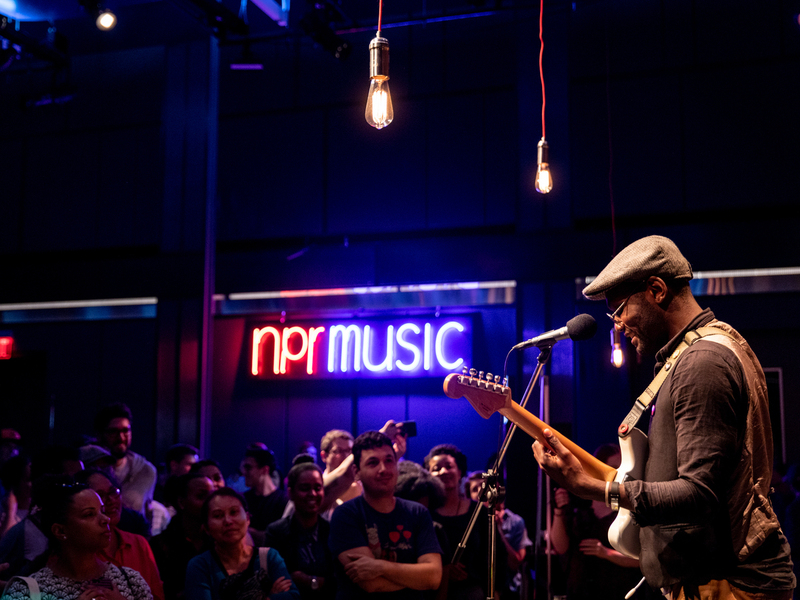 The winning artist(s) must be available to travel to Washington, D.C. between May 27-29 to record their Tiny Desk performance at NPR Headquarters and able to go on tour in summer 2019. Please see complete rules for entry. Since the launch of the Tiny Desk concert series in 2008, more than 800 performances have been recorded at the Tiny Desk—Boilen's festive workspace at NPR Headquarters, adorned with years of music mementos and memorabilia. The Tiny Desk concert series has provided a stage for artists from across the genre spectrum and at every phase of their careers: pop balladeer Adele, R&B sensation T-Pain, hip-hop star Chance the Rapper, country singer Kacey Musgraves, H.E.R has been on twice, Colombian pop star Juanes and Chilean singer Mon Laferte performed together and even actor (and talented banjo player) Steve Martin.